Ships tomorrow if you order in the next 21 hours 38 minutes. It can be tough to be positive when you're in pain. Likewise, when you're feeling low, pain can feel all the more limiting. What to do? It turns out that DLPA, which combines two forms of the amino acid phenylalanine, may be able to help block an enzyme that breaks down "feel-good" chemicals (endorphins and enkephalins), so your body has enough of them left to ease pain and improve your mood, naturally. 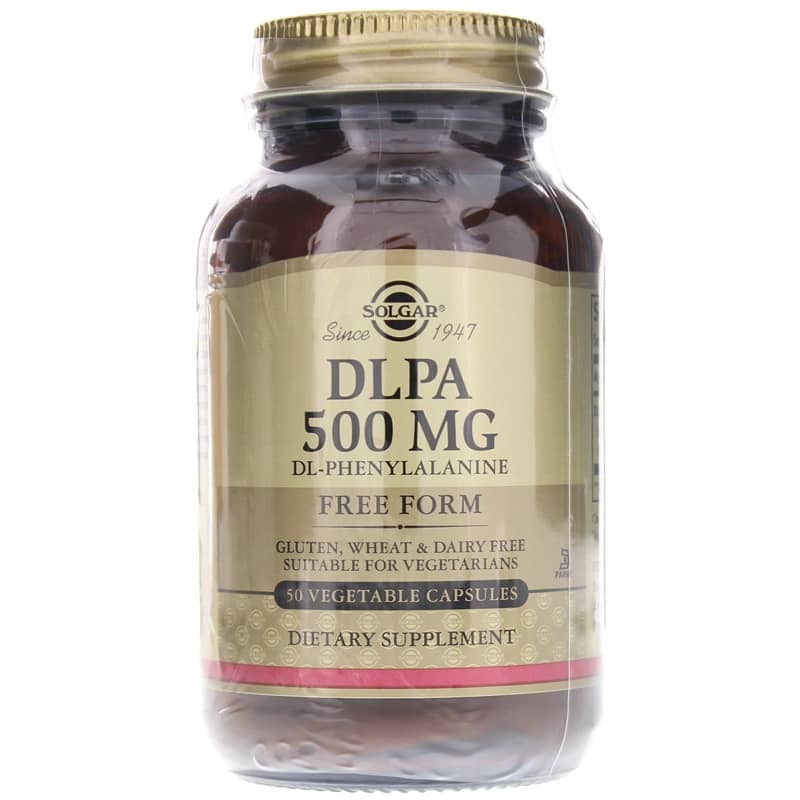 DLPA from Solgar contains free-form DL-Phenylalanine for optimal absorption. 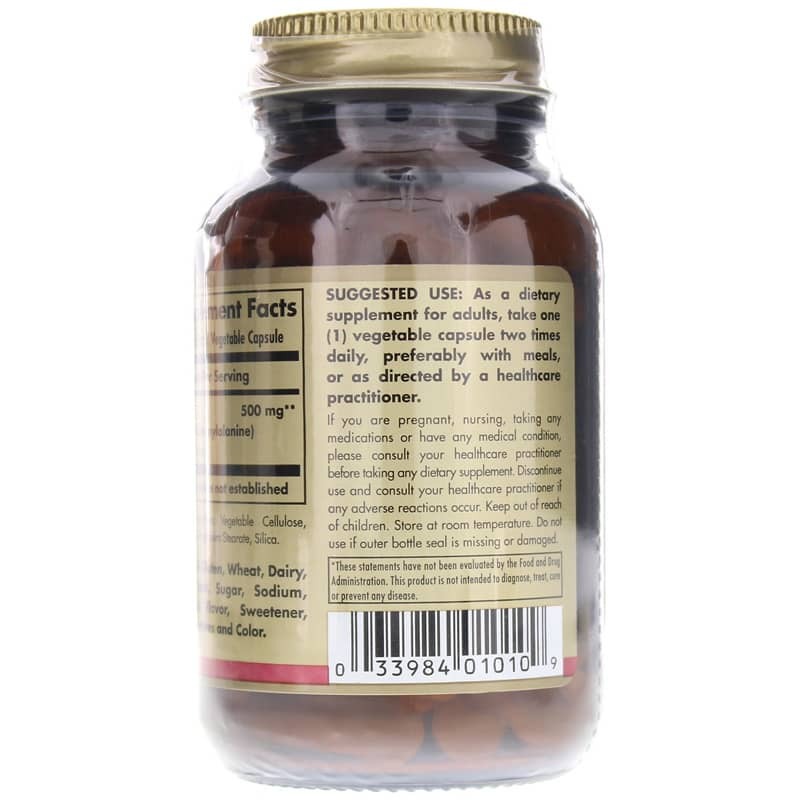 This supplement may help ease occasional periods of depression and reduce physical pain. A healthy mood is a natural outflow from a healthy body, but occasional bouts of the blues can happen to all of us, especially when we're in pain. This dl-phenylalanine supplement may be able to support healthy mood, relieve pain and aid focus and concentration. 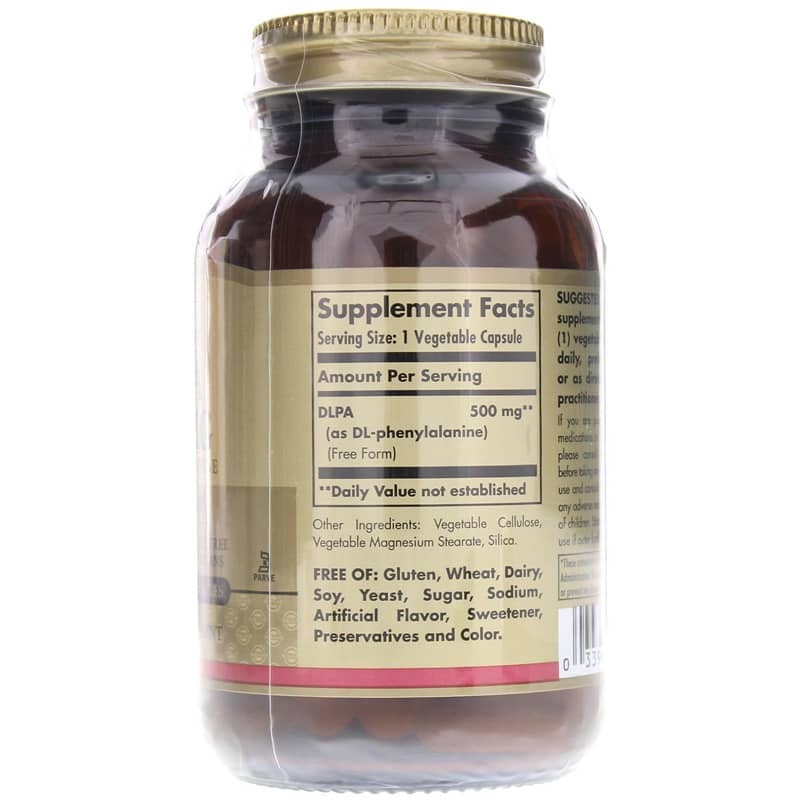 Whether you want to enhance your ability to concentrate, improve your mood during a slump, get through the month without PMS mood swings, or ease aches and pains, this free-form DLPA supplement may be able to help. Order now for natural relief. Adults: As a dietary supplement for adults, take one (1) to two (2) vegetable capsules daily, between meals, or as directed by a healthcare practitioner.